If you need to boost your brand awareness as fast as possible, viral marketing is the way to do it. Viral marketing can increase your exposure exponentially. 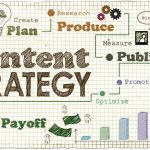 In fact, one blog grabbed over 17,000 new visitors in a single day thanks to these content marketing techniques. To go viral, you need to understand how to create an engaging, shareable campaign. 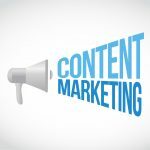 Here are 7 steps to create a viral content marketing campaign for your business. While the phrase “going viral” has entered the public lexicon, it means more than a popular piece of content. In content marketing, a piece has truly gone viral when a couple of things are true. A viral coefficient is a number showing how many new users are drawn to your content per existing user. Content marketers actually use a mathematical formula to calculate their viral coefficient, also known as a K-factor. 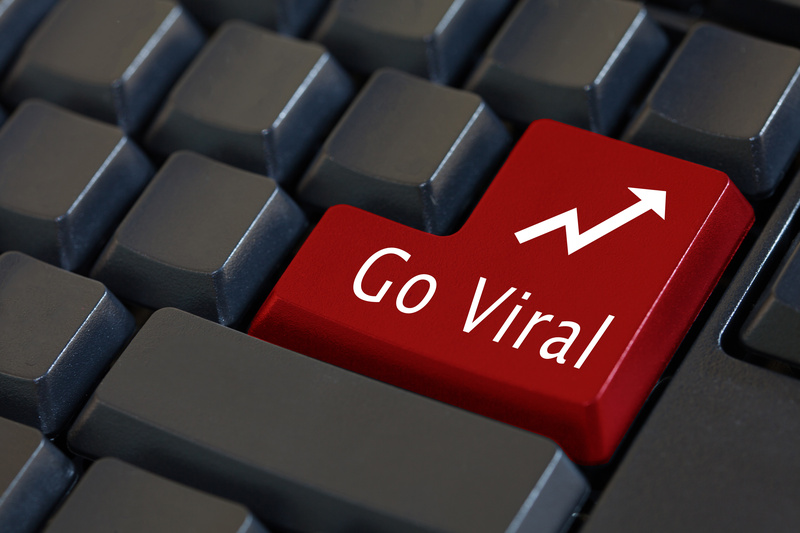 If a viral coefficient is greater than 1, that piece of content is going viral. The higher the number, the faster it’s growing. The viral time cycle is the amount of time it takes for one user to share content. When it comes to viral content marketing campaigns, this should happen pretty quickly. Most successful campaigns have a viral cycle time of a day or less. Before launching any campaign, a good marketer will know precisely how big their target market is. When it comes to viral campaigns, the size of that market can be massive. It depends entirely on your goals for the project. If you’re promoting a niche product, this could be a couple hundred thousand people. If you’re trying to make yourself a household name, this number will be in the millions. Ready to craft your campaign? Here’s how. Successful viral content marketing campaigns work because they don’t just stand out among their direct competitors. They grab everyone’s attention. In order to reach your total market, you need to create content with mass appeal. That may mean tossing aside your usual marketing tactics and embracing storytelling. Focus on entertainment value. People are more likely to share content that inspires emotion. For the largest reach, create something positive, inspiring, or funny. That rings true no matter your product. Even if you’re selling banner flags or other promotional business materials, you need to market your product with an emotional story. Overall, visual content outperforms written materials. That’s because images, infographics, and videos are easier to understand than articles. For content that’s attention-grabbing and infinitely shareable, you need to go visual. We don’t necessarily mean requesting likes, shares, and comments. Instead, create something users have to click, tap, or swipe through to get to the final message. Interactive posts encourage viewers to directly engage with your content. That builds up emotional investment. Parallel swiping to reveal before and after photos, quizzes, choose-your-own-adventure posts, and tap-to-reveal features are all great ways to make your post interactive. Campaigns with a low viral cycle time will bring your business the most benefit. It’s in your best interests to help your content spread faster. One of the easiest ways to speed up the cycle is by embracing brevity. 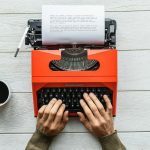 If you do need to include copy in your content, keep it short. Infographics should display the information you want using as little space as possible. Videos shouldn’t be longer than a minute or two. Make it easy for your viewers to consume all of the content. If it can hold their attention, they’re more likely to share it. It’s not enough to come up with a goal number for your total market. You need to understand demographic and behavioral information about them, too. Your market’s age, gender identity, geographic location, and even political affiliation can all help you craft your viral content marketing campaign. That kind of information can (and should) influence every decision you make, including your art style, content format, and voice. After you know everything there is to know about your audience, you can gauge whether or not your content should be topical. If it fits in with your brand’s identity, you can create content that relates to current events, holidays, and other topical developments. Countless big brands went rainbow for Pride Week, for example. Just be sure to thoroughly vet your content before you release it. An expertly crafted campaign can boost your reach, but a tone-deaf attempt can damage your brand. That’s a lesson soft drink giant Pepsi learned when they issued an apology for a protest-themed commercial in April 2017. It was clear they were trying to relate to recent Black Lives Matter protests, but viewers found their attempt clumsy, insensitive, and ridiculous. While grabbing someone’s attention is great, sparking true curiosity in your company is even better. To do that in an oversaturated world, you need to get really creative. As you craft your campaign, steer yourself away from the tropes you’ve used to advertise your brand in the past. You can lean on some research into what’s trending, but to stand out, you’ll need to step firmly out of your comfort zone. The rewards for doing so can go beyond creating viral content marketing. MailChimp’s recent gamble on its bizarre “Did You Mean MailChimp?” video campaign not only grabbed people’s attention. It netted an advertising award for the design agency responsible for the campaign. 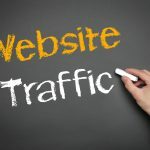 At ArticleCity, we can help you increase your inbound traffic and create viral-worthy content. We custom craft results-oriented strategies to help our clients reach their audience and sales goals. Best of all, you can sign up free today.